When you’re buying stocks that sport a nice dividend, you need to be very careful where the stocks are in their cycle before committing. Income stocks are for the long haul. 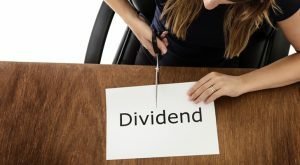 If you’re buying with a dividend in mind, you’re expecting that the 3% to 5% dividend yield will be a boost to the growth of the overall stock. If you get a steady grower that’s boosting its stock price 6% a year while throwing off a 3% dividend, that’s a nice, safe 9% grower that isn’t going to keep you up at night. But if you get that stock when shares are wallowing and the company is struggling, there’s a good chance that the company will cut its dividend, which creates all sorts of negative consequences. Below are seven dividend stocks that look like trouble right now, either because of industry problems or specific corporate challenges. Either way, this is not the time to be stepping into them, or expecting things to get better before they get worse. Macerich Co (NYSE:MAC) considers itself the leading real estate development trust (REIT) in the high-end mall sector. It owns 48 properties across the U.S. in most of the major markets. The problem is, it’s not just the big box retailers that are struggling right now. Many clothing retailers and other focused retailers are hurting. Consumer spending is trending down and interest rates are headed up. These aren’t good signs for MAC properties. They don’t just rely on high net worth spenders, they also rely on customers that want a taste of the good life. Taking that group out of the retail stream is not good for business. Because Macerich is a REIT, it pays its profits to shareholders as dividends. Right now, it’s delivering a 4.9% dividend, but given current market conditions, and the fact the stock is off 18% year to date, that dividend is becoming increasingly unstable. 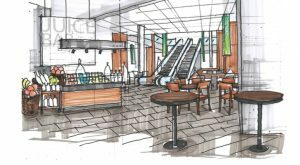 Simon Property Group Inc (NYSE:SPG) has taken the mall concept beyond U.S. borders. It operates over 60 premium outlet malls domestically as well as dozens of traditional open-air malls. But it also has operations in Japan, South Korea, Canada, Malaysia and Mexico. With its 4.4% dividend, it would be a great place to park your money for the long term … if we weren’t still mired in sluggish global growth. This is a sector problem that is bigger than just the REIT space. It has to do with the retailers and the growing online competition for similar products. Many outlet centers are tourist destinations. If tourist spending is down, REITs like SPG suffer. Shifting demographics show that post-baby boomer generations would rather spend on food and experiences rather than clothes and accessories. SPG is down 10% so far this year, so its dividend doesn’t even keep it above water — and the tide is rising. BT Group plc (ADR) (NYSE:BT) is the former British Telecom. It claims to be the world’s first telecommunications company that developed the first nationwide network back in 1846, with the telegraph. It now operates in some capacity in more than 180 countries. It is still the largest provider of fixed line and mobile communications in the U.K. The biggest problem BT faces is Brexit. 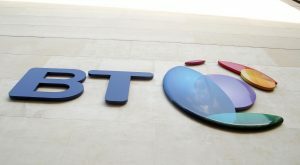 Since negotiations have yet to begin on the U.K.’s exit from the European Union, no one is sure how this will affect BT’s operations on the mainland. And the recent election surprise in the U.K. has further destabilized its future. Don’t let the amazing 8.6% dividend fool you. The stock is off 35% in the past year, so even that massive dividend is cold comfort. And things will get worse for BT before they get better. 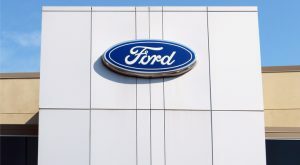 Ford Motor Company (NYSE:F) is one of the stock market’s oldest firms. And it’s obviously one of most famous brands in the world. But that doesn’t mean its performance is in any way linked to its endurance, especially in today’s market. The trouble that Ford and the rest of the auto industry are running into is that there are only so many cars you can buy. Up until a couple quarters ago, consumer loan growth has been high for years. Qualifying for loans was easier and loan terms now run longer. According to car service Edmunds, in 2014 60% of car loans were for more than 60 months, and 20% of those were for 73- to 84-month terms. This run has been going on for a while, but in 2017, that buying dried up. What’s more, interest rates are on the rise. F is going away, but it’s no time to buy, even with its 5.4% dividend. The stock has lost 8.4% year to date, even that dividend isn’t keeping you out of the red. Regency Centers Corp (NYSE:REG) is a good example of how size and diversity also has its downside in certain market conditions. REG is retail REIT with 429 centers in the U.S., totaling 59 million square feet of retail. It’s big and it’s all over. 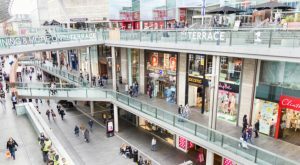 The problem is, malls are having a tough time now that big retailers are struggling and some of those retailers are anchor stores for REG’s properties. Add to those troubles the recently announced merger between Amazon.com, Inc. (NASDAQ:AMZN) and Whole Foods Market, Inc. (NASDAQ:WFM) — WFM is an anchor store in many REG properties. AMZN is a notoriously tough negotiator, which only makes REG’s job tougher moving forward. REG has a 3.4% dividend, but it’s off more than 11% year to date. And the fact is, this is no time to bottom fish, because we haven’t hit bottom yet. 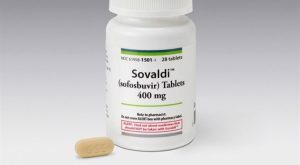 Gilead Sciences Inc (NASDAQ:GILD) was the kind of biotech everyone dreams of owning. First, it perfected the one-a-day pill regimen for diseases like HIV. But then it took off when it found a three-month regimen that would cure hepatitis C in nearly all patients with specific strains of the disease. Hep C can live in the body undetected for decades, but as we age it tends to show itself, many times with devastating consequences. It attacks the liver and in many cases, the only cure was a liver transplant, which costs around $600,000. Given the graying of the U.S. population, insurance companies were not happy. But then came GILD with Harvoni and Solvadi. A 12-week course of Harvoni costs about $94,000 by comparison. GILD got to price its drug incredibly high because the alternative was substantially higher. GILD took off. But now, there are more competitors in the hep-C space, so GILD is losing market share and pricing power. It has a ton of cash but hasn’t bought anything with it to keep its pipeline active. It’s off 23% year to date with more downside waiting and it’s only offering a 3.2% dividend. National Retail Properties, Inc. (NYSE:NNN) is a retail REIT, but it doesn’t focus on shopping malls. It usually leases properties to stand-alone businesses or smaller 2-3 shop centers. Its top clients are Sunoco, Mister Car Wash, LA Fitness, AMC Theaters and 7-Eleven. This shelters NNN from some of the more disruptive challenges facing retail REITs, but that doesn’t mean its business has been doing much better. Also, it going to get painted with the same brush as some of the more hobbled retail REITs it shares the sector with. In the past 12 months, NNN is off 17%, so its 4.6% is not going to help much. And the fact that the stock isn’t showing much signs of improvement in the past four quarters means that investors don’t see this as a temporary situation. NNN operates 2500 properties in 48 states, but its portfolio of companies has only so much expansion it can handle. And as interest rates rise, growth may be stifled even more. Article printed from InvestorPlace Media, https://investorplace.com/2017/06/7-dividend-stocks-that-look-like-trouble/.